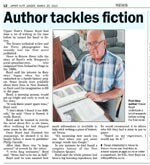 “Upper Hutt’s Fraser Boyd had done a lot of writing in his time before he turned his hand to fiction. The former technical writer and Air Force photographer has recently had his first novel published. Never to Return Home tells the story of Boyd’s wife Margaret’s great-grandparents, who emigrated from Ireland to Otago in the 1860s. Boyd said his interest in their story began when his wife embarked on a family history project. Scant details were available about their lives in New Zealand, so Boyd used his imagination to fill in the gaps. Boyd, a morning person, would get up bright and early to work on the story. “It took three years’ spare time,” Boyd said. Boyd said he wanted to rewrite the novel about five or six times, often realising he had skipped some years in the story. Once Boyd had finished his manuscript, he showed it to his family before it went to publisher Philip Garside. After that, there was a “huge amount” of rework by the editor. 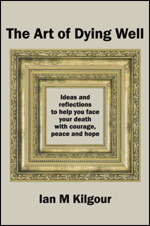 Boyd said he was amazed how much information is available to help with writing a piece of historical fiction. In one instance he had found a complete history of the Port Chalmers Quarry. Boyd said the whole process had been a big learning experience, but he would recommend it to others who felt they had a story to put to paper. This entry was posted in Reviews, What I've been up to and tagged Dunedin, Fraser Boyd, historical fiction, Ireland, Never to Return Home, New Zealand, Port Chalmers, the writing experience on March 25, 2015 by Philip Garside.